At the start of my trip I thought I was going to travel for a long time alone. Thank god I was wrong. 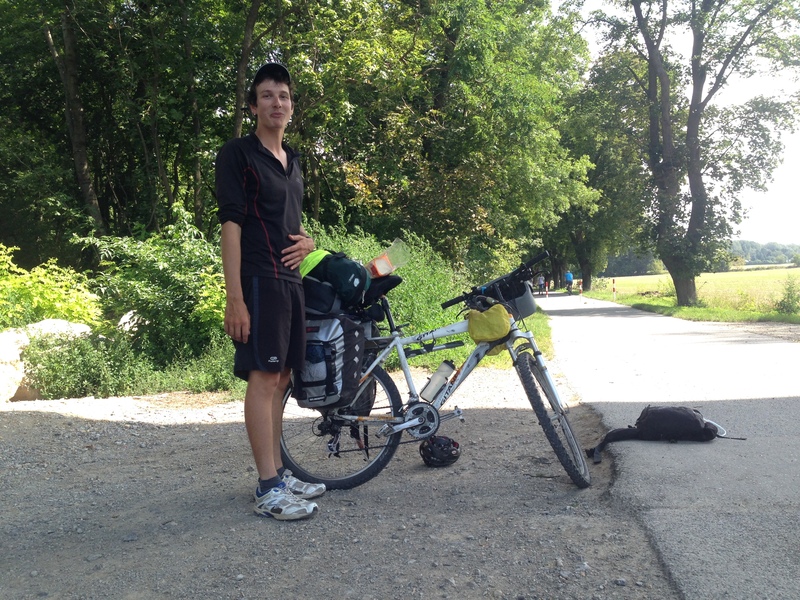 I met Billy, from Heist op den Berg, Belgium, on a city camp of Regensburg (on the shores of the Danube River). 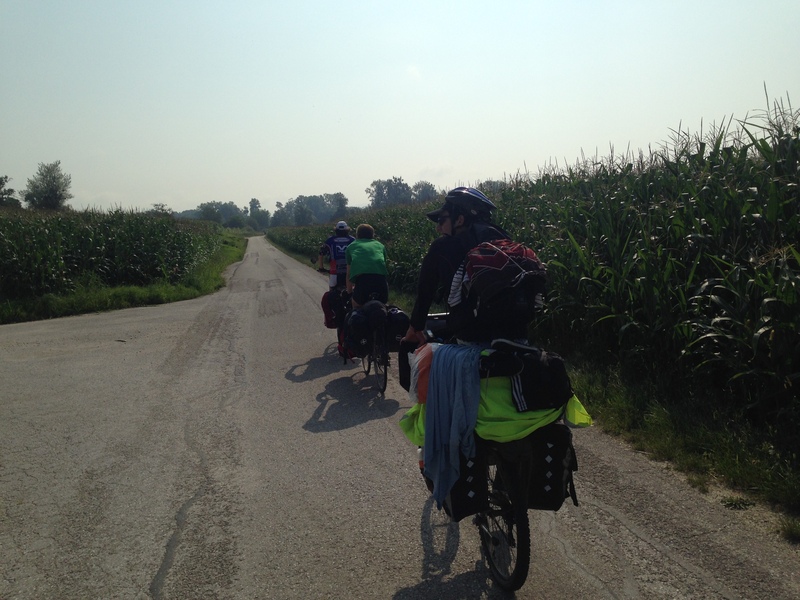 After he heard me talking to a Dutch a guy in my Antwaarps accent, we started talking and decided to share to road up to Budapest, Hungary. 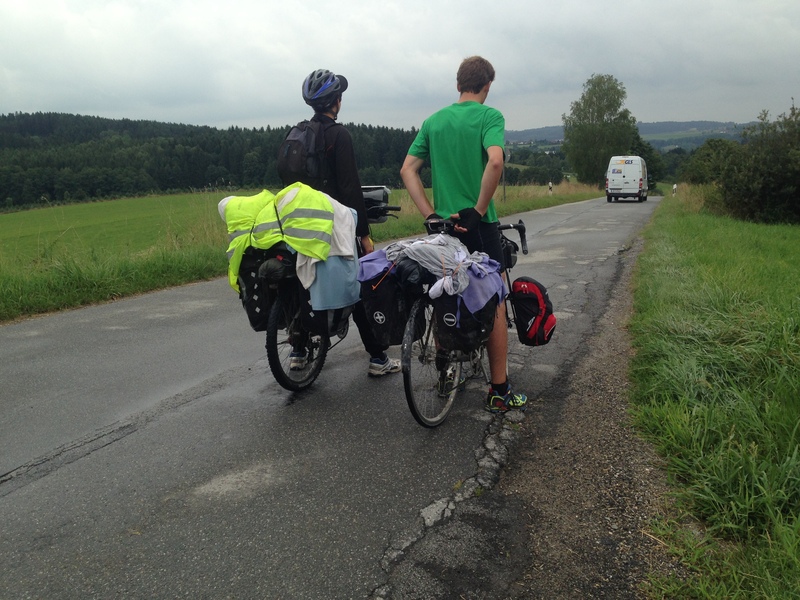 On the road between Straubing and Jochenstein we met Remi (Nantes, France) and Simon (Paris, France). Two french guys who were traveling fast. After a quick chat we decided to share the road. 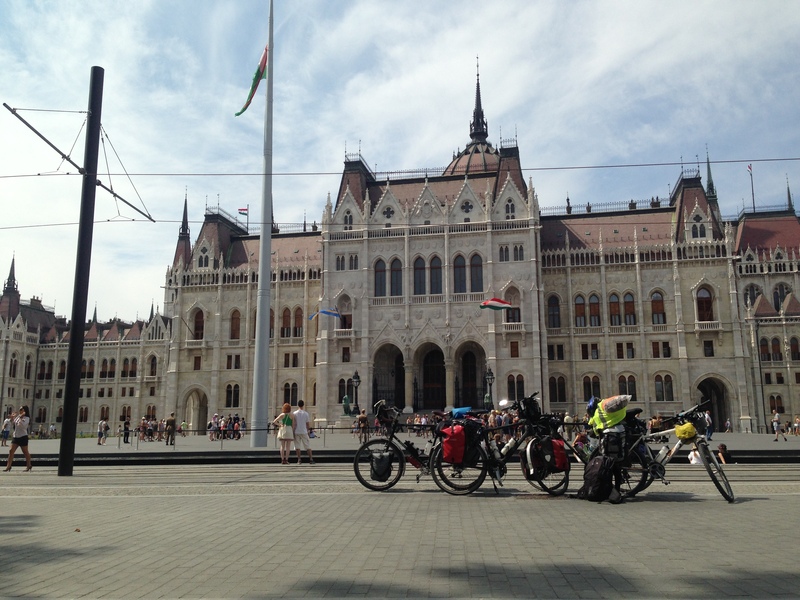 We parted our ways from Budapest. Remi returned home. 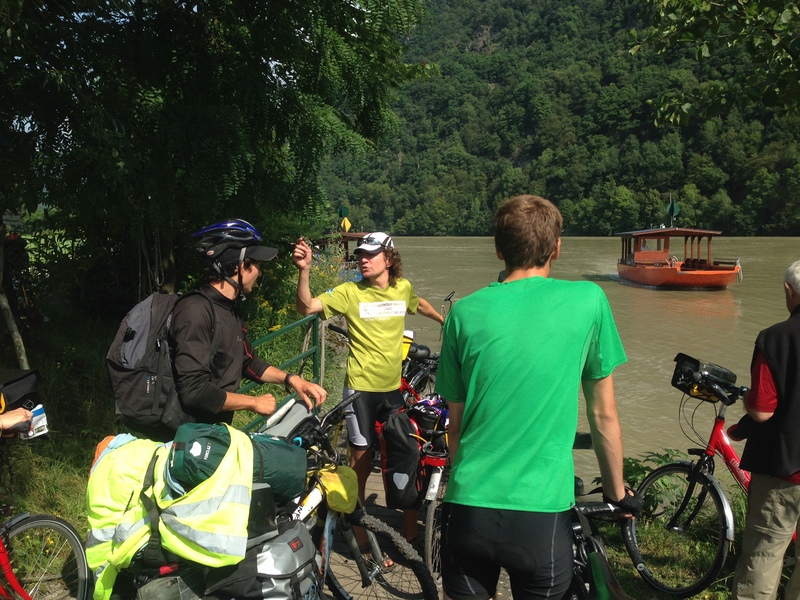 Billy and Simon traveled further heading east following the Danube. Simon was heading to Istanbul, Turkey. He had to get there on time to enjoy the city and catch a plane back to Paris. I must say that I really enjoyed there company and learned a lot from them. 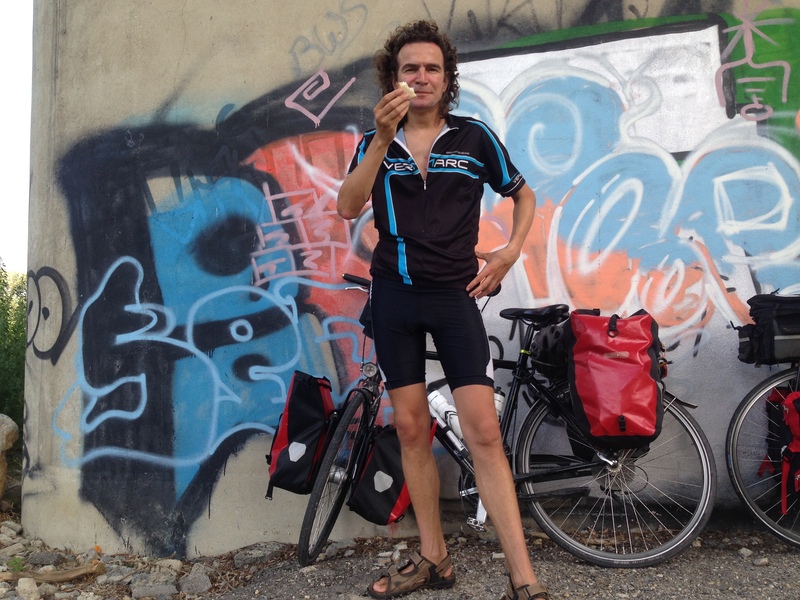 We traveled fast, talked a lot and enjoyed our coffee and beer brakes. 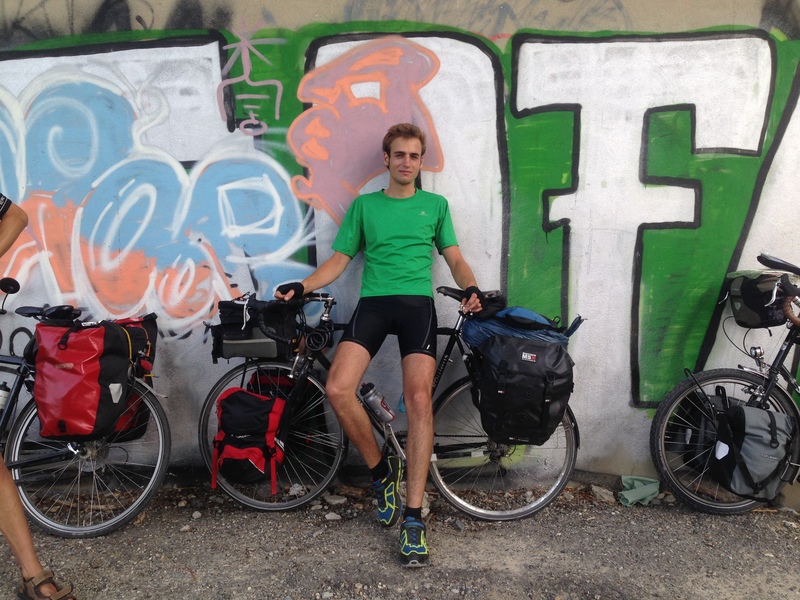 Remi and his mountain bike, which he won in a lottery.